With the imminent launch of Windows 10 this summer, I’ll have a lot of information on my blog about how to develop games and applications for it. 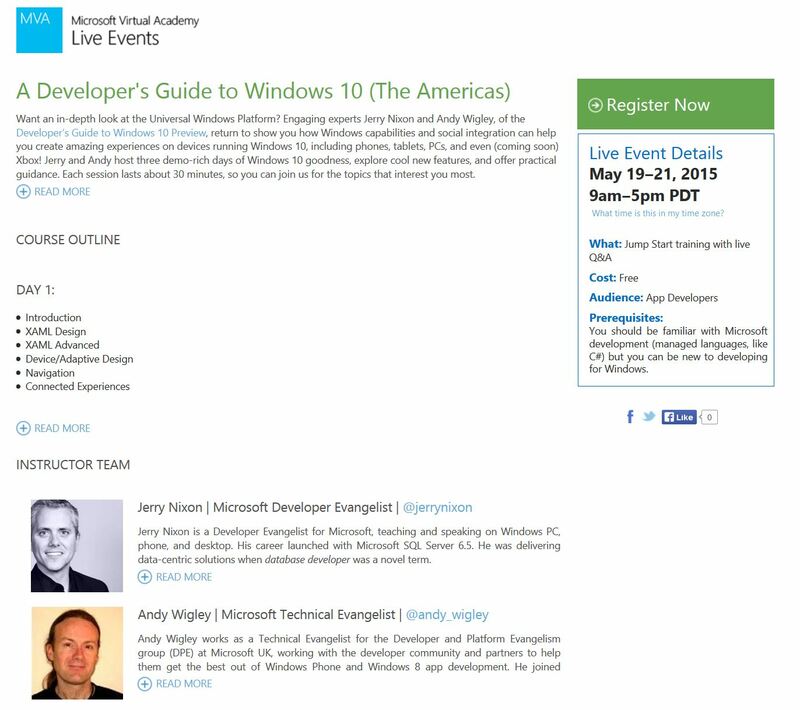 The first item I wanted to highlight was a course that my peers, Jerry Nixon and Andy WIgley, are putting together on Microsoft Virtual Academy. The course will air live from May 19th-21st. You can register for it and view it here.